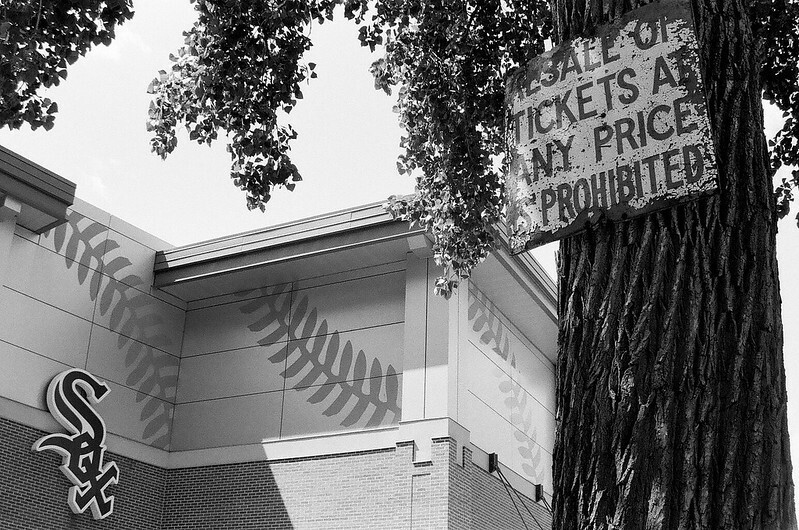 This sign has been nailed to a tree outside the original site of Comiskey Park, and across the street from the new Sox stadium for decades and decades. It may be the only remaining in situ artifact of the old Comiskey Park, which was torn down in 1991. It was an old sign then. Scalpers can often be seen selling tickets under this tree. Image published by Crawford Brian on 2018-08-10 22:39:31 and used under Creative Commons license.